The Global Automotive Radar Market was valued at $2,727.5 million in 2017 and is anticipated to grow at a CAGR of 21.6% during the forecast period. Automotive radars are used for locating objects on the road and sensing distances between vehicles in real-time to enhance driving efficiency and road safety. The automotive radar, which consists of a receiver and a transmitter, enables sending and receiving of waves to detect object distances, speeds and directions. Automotive radars are used for applications such as collision detection, warning and mitigation, collision avoidance, blind spot monitoring and detection, lane change assistance, lane departure warning system, rear cross-traffic alerts, and vulnerable road user detection among others. Vehicles are increasingly using surround sensing technologies for parking-assistance systems, collision-warning, and adaptive-cruise-control (ACC) systems. Higher frequency radar systems with 77 GHz to 81 GHz frequency range (79 GHz band) are used in vehicles for pedestrian detection and emergency braking systems. The growing popularity of autonomous vehicles and self-driving cars is expected to provide numerous growth opportunities for the market. The major driving factors of the automotive radar market include growing automotive industry and increasing demand for high end luxury vehicles. The introduction of government regulations for road and vehicular safety supports the growth of the market. Automotive radar systems are being used in driver assistance systems owing to increasing cases of road accidents. The growing road traffic and increasing need to improve road safety has accelerated the adoption of automotive radars. The growing demand of autonomous vehicles, and self-driving vehicles encourages vehicle manufacturers to integrate advanced radar systems in vehicles. The increasing demand of technologically advanced vehicles from countries such as China, U.S, and Western Europe also increases the demand of automotive radar market. The global Automotive Radar market is segmented on the basis of range, sales channel, vehicle type, frequency, application, and geography. Based on the range, the market is segmented into short range, medium range, and long range. The sales channel segment is categorized into OEM, and aftermarket. The vehicle types include passenger vehicles, and commercial vehicles. Based on frequency, the market is segmented into 2X-GHZ radar systems, and 7X-GHZ radar systems. The application segment is divided into blind spot detection, adaptive cruise control, intelligent parking assistance, autonomous emergency braking, and others. 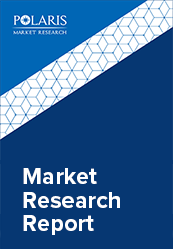 The automotive radar market report comprises a detailed geographic distribution of the market across North America, Europe, APAC, Latin America, and MEA. North America is further segmented into U.S., Canada, and Mexico. Europe is divided into Germany, UK, Italy, France, and Rest of Europe. Asia-Pacific is bifurcated into China, India, Japan, and Rest of Asia-Pacific. Europe accounted for the largest share in the global Automotive Radar market in 2017. The vendors in the automotive radar market are launching new products to meet the growing customer needs. In addition, the leaders in the market are acquiring and collaborating with top companies in the market to enhance their offerings in the market and expand their customer base. The Automotive Radar market is highly competitive with the presence of a large number of small and large vendors. The leading players in the market include Delphi Automotive PLC, Denso Corporation, Continental AG, Infineon Technologies AG, Analog Devices, Inc, ZF Friedrichshafen AG, Robert Bosch GmbH, NXP Semiconductors, Texas Instruments Incorporated, Autoliv Inc., and Hella KGaA Hueck & Co. among others.